I haven’t been keeping up with @zoraflorasays lately so I haven’t had much to write about, but with an increase in Amazon reviews I’ve picked it back up (at least for a while). 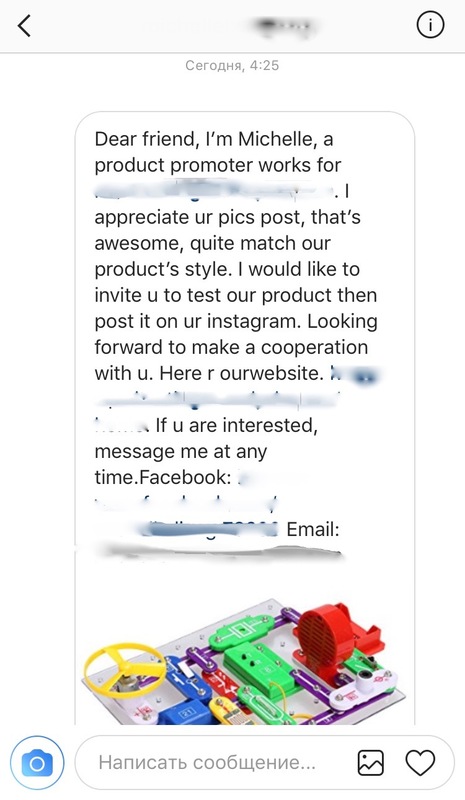 Over the long weekend I realized that when you’re doing reviews (or trying to sell things) on Instagram other people are more likely to try to sell you on things as well (I’ve never gotten messages like these on @JonesDoesLife, probably because it isn’t a beauty/review themed account). Sometimes these messages are hard to identify because there are also people who legitimately want you to review things for them, and due to broken English and bad grammar it becomes increasingly hard to figure out who’s spam and who’s not. 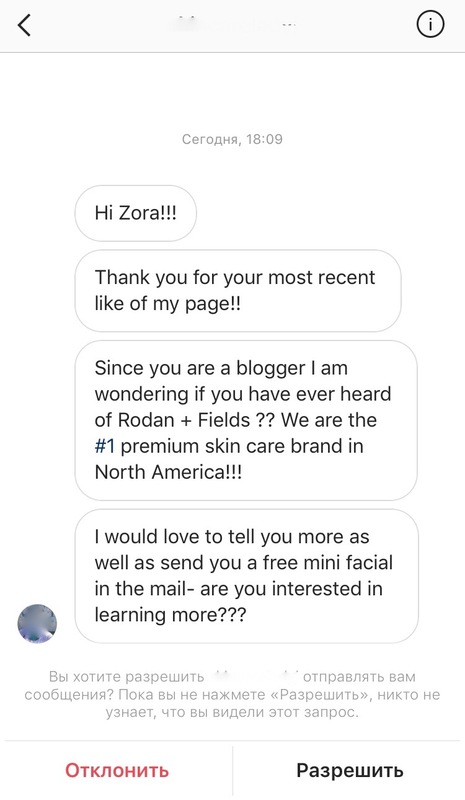 The following message is from someone who works as an independent contractor to sell the Rodan + Fields product line. I thought, “Hey, this is a fun collaboration and I like essential oils, I am totally down for this.” After I received them the guy gave me some in depth instructions for how to use them, and asked me how they were working out. I talked about them on my Instagram story and tagged him in it for the good “publicity” I thought he might be going for. And that’s when I realized that he didn’t want to just sell me on the oils, he was trying to convert me to be one of his underlings. I was trying to be nice when I said I didn’t have time and am generally non-confrontational (I don’t know how much this would have helped this situation) but he was certainly persistent. Over the next month he continued to send me messages (and emails) asking me to take classes, buy oils, and set up my own account. Since then I have refused to respond to any messages that start with “Hey, are you familiar with…?” because I don’t want to end up in this kind of situation again. Companies that give away products tend to produce a lot (they may be the actual manufacturers and can afford to give away pieces) and they are often located in places not-the-US. Having someone contact you with broken English is a sign that whoever it is is actually working with the manufacturer. If a person messages you with a request like this, it’s way more likely that if it falls through it’ll be because someone doesn’t respond, not because someone is trying to harass you into buying their service. If a person messages you who is an independent contractor, only respond if you either want the product or don’t mind being harassed a little bit. Don’t let free samples tempt you into thinking that they value what you’re trying to do. The people you want to work for are those with zero subtlety – who will tell you exactly when and where you’re getting paid and what the products are. They aren’t trying to sell you on the product, they’re trying to get you to sell other people on it.